Note the reverence and great honor shown the word of God by the people. We read in Psalms 119: 30 that the entrance of His Word gives light and understanding to the simple. Jesus states that none of His Words will pass away (Matthew 24:34) and “…assuredly I say to you, till heaven and earth pass away, one jot or one tittle will by no means pass from the law till all is fulfilled.” (Matt. 5:18) Notice the special regard the LORD bestows on the person who “trembles at His Word” in Isaiah 66:2… “My hands have made both heaven and earth; they and everything in them are mine. I, the LORD, have spoken! ‘I will bless those who have humble and contrite hearts, who tremble at My word’.”This lesson should be especially encouraging to you teachers as we model the Levites in this story and are seeking to make the words of God understandable to children. Print worksheet on card-stock. Cut the portion containing the scroll, which leaves a space to write the memory verse. 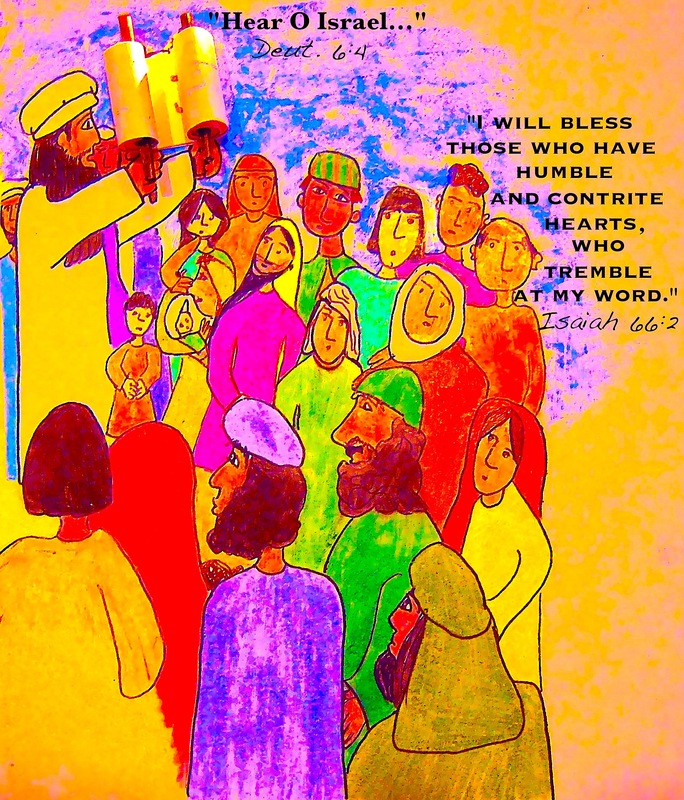 Have the kids write their memory verse first thing , then they can color the page and prepare the scrolls. Cut carefully around scroll. For younger kids, you will want to pre-cut the scrolls. You will need 2 toothpicks for each scroll. Before class, measure and cut the ends off the toothpicks. The kids can color them with brown markers and glue one to each end of the scroll….centering them. Roll up each end of the scroll tightly, meeting in the middle (see sample). If you have printed the scrolls on card stock, they should keep their shape rather well. Glue or tape into Ezra’s hands. Zacchaeus was very blessed indeed. Jesus has been preaching the Good News for three years and is making His way to Jerusalem to suffer and die for the sins of the world. We all know the story of the vertically challenged chief tax collector…. tax collectors were hated because of their collaboration with the Roman government and exploitation of their fellow countrymen. Perhaps he had heard of Matthew leaving the ranks of his profession, and was curious about what kind of a man would be worth following and giving up a lucrative profession for. 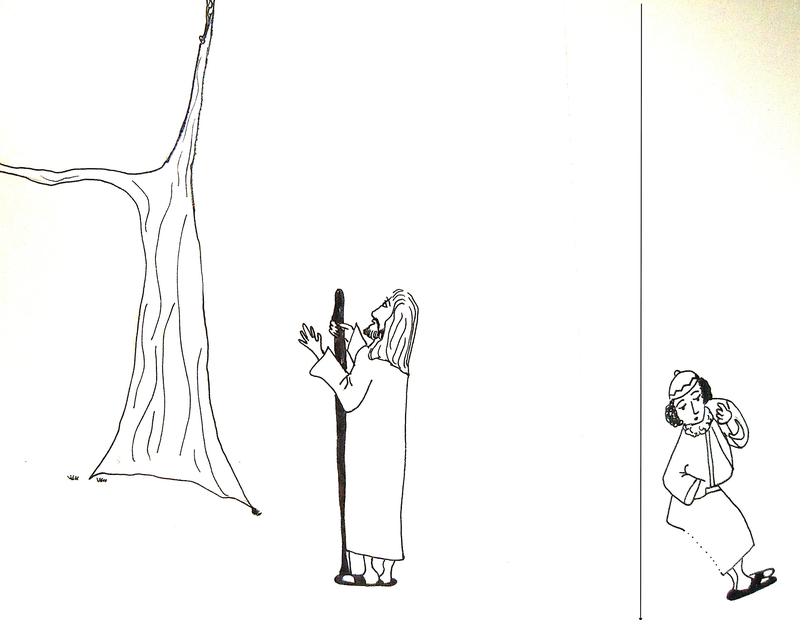 He climbed a tree to get a better look when he heard that Jesus was passing through Jericho. 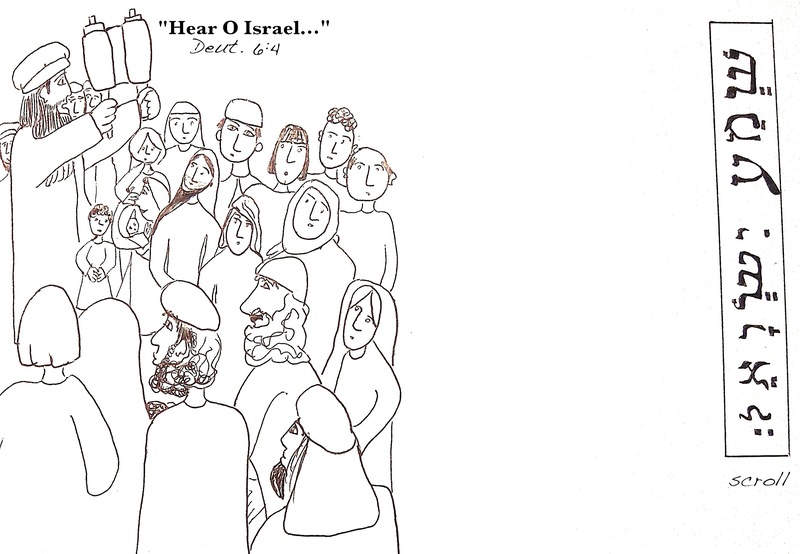 To his surprise, Jesus stopped and called him by name. He was bid to come down quickly, for Jesus must go to his house. The lonely man gladly welcomed Him – the result of the visit : salvation, forgiveness and a changed life. 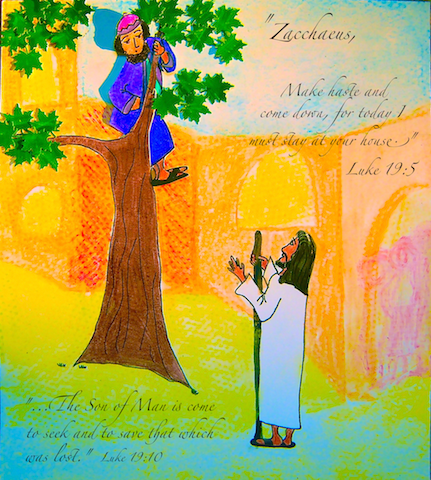 Jesus sought Zacchaeus because He loved him. No one is beyond seeking…Who is Jesus wanting you to reach out to? What stands in the way of us making the efforts necessary to show we care. Maybe it is a child who has only come to your class once or twice. Pray and ask the LORD to help you make effective contact. 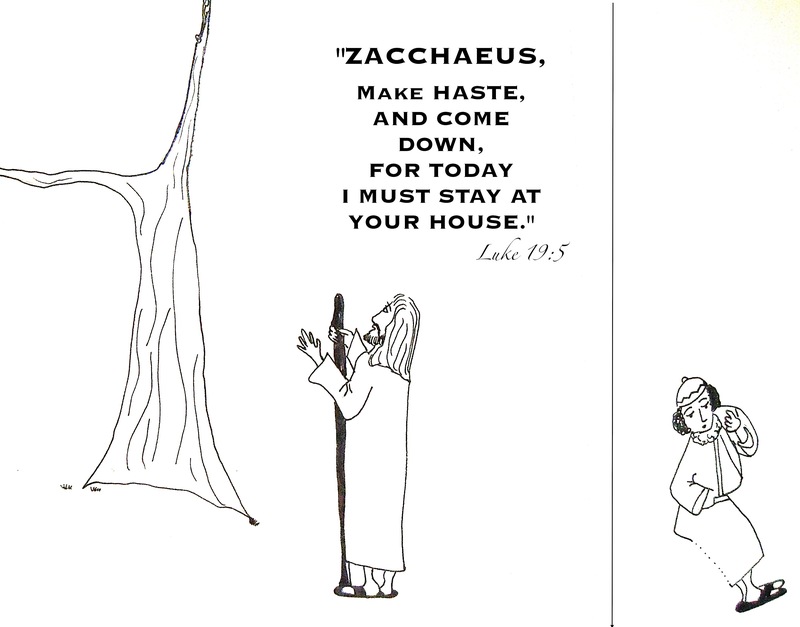 For complete instructions see the post at kidsbible.wordpress.com… (this will involve some precutting with an x-acto blade so you can fit Zacchaeus into the tree. ) I also used a leaf punch to cut out leaves.